A unique gallery is yours for artistic enjoyment on Markle Court in Bridgeport: City Lights. Mingle with like-minded individuals and view art like the current exhibit highlighting the phases of Bob Gregson of Orange that opened June 16 and will run until July 30. Just like a moon has distinct phases, so does Gregson as his four decades of work have evolved from precise pen and ink drawings to paintings to playful interactive constructions and “art situations.” He’ll provide “faces” for you to picture and pictures for you to face, as he invites you to participate in his work, touch and move it and explore the evolutionary style. Go to www.citylightsgallery.org or call (203)334-7748. Gallery hours are Wednesday – Friday 11:30 a.m. to 5 p.m., and Saturday noon-4 p.m. and by appointment. Farewell and godspeed to Michael Wilson who has been an outstanding Artistic Director at Hartford Stage for the last 13 years. Now, in this his “bar mitzvah” year, he is heading to New York City to become a freelance director, going all over the country as his theatrical spirit takes him. 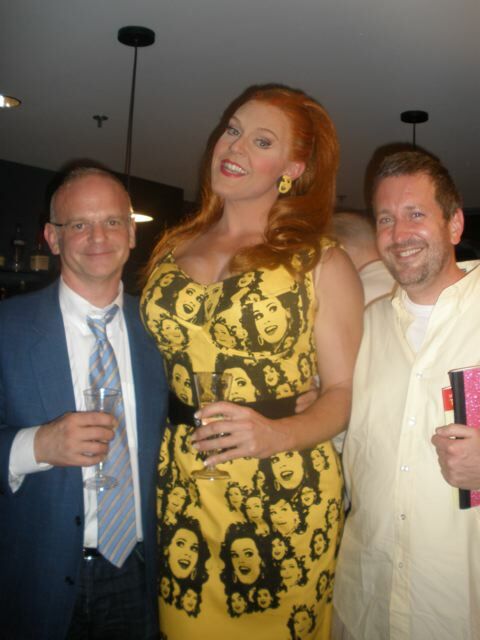 A gala goodbye party was held on Monday, June 20 at the Hartford Stage to wish him and his life partner Jeff Cowie, who is a gifted set designer, good wishes as they move to new territories of theatrical challenge. For an intimate, charming and exasperating look at dating, courtship, marriage, divorce, birth and death, the whole megillah, head directly to the Connecticut Cabaret Theatre in Berlin weekends until July 30. In almost two dozen vignettes, you will be privy to the anxiety and angst, the preparation and the preening, the fuss and the futility of all the love drenched situations that have forever made the world go round and round and round. Let Melissa Ingrisano, Erica Lubonta, Jonathan Escobar and Lenny Fredericks be your tour guides on the often rocky path to true wedded bliss. From those awkward first dates when you want to skip right to the good stuff all the way to providing great pick-up lines at funerals, DiPitro doesn’t leave any possibility for romance stuck under any rocks. He deals with such pressing issues as “Men Who Talk and the Women Who Pretend They’re Listening,” a visit with new parents who are fixated on their recent arrival, lawyers who guarantee sexual satisfaction, a family drive in the car where everyone arrives alive and how not to make a dating video. 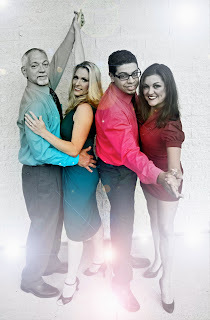 This talented quartet plays studs and babes, men who cry at chick-flicks, women who offer lasagna but really want to give themselves, what happens when a man who promises to call actually does and the complicated tango dance of a married couple with children. Kris McMurray directs this engaging courtship cha-cha-cha with finesse. For tickets ($30), call the CT Cabaret Theatre, 31-33 Webster Square Road, Berlin at 860-829-1248 or online at www.ctcabaret.com. Performances are Friday and Saturday nights at 8 p.m. Come early and enjoy refreshments at your table. Desserts and drinks are available for purchase. No matter what stage of the romance meter you measure yourself on, you’ll find a lot to enjoy on this highway of love. Happiness is spending two delightful hours with a sextet of friends, even if some of them are wishy-washy, passive-aggressive, co-dependent, prickly- pearish, obsessed with Mozart and fuzzy furry. Come meet the clan/family of one Charlie Brown whose desire to be accepted and loved have occupied the comic strip pages, thanks to Charles Schulz, for decades. Summer Theatre of New Canaan is putting our old friend Charlie front and center for viewing, warts and dimples and all, in their engagingly charming “You’re a Good Man, Charlie Brown,” the Broadway Musical, weekends in Waveny Park until Saturday, July 9. 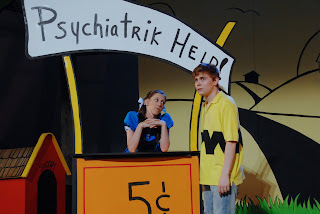 Gather your kites to help Charlie, your blankets to keep Linus company, your lollipops for Sally, some classical sheet music for Schroeder, a few psychiatry problems for Lucy and a filled supper dish for Snoopy and settle in for a fun time with the gang. Next up is the piano serenading Schroeder, played by a dedicated to Beethoven Stephen Schellhardt, who loves to ignore the matrimonial advances professes by a regal Kate Bodenheimer as the newly self-elected Queen of Crabbiness. Not to be ignored are the blanket clutching for comfort Linus, Lucy’s little brother, a sensitive Nick Reynolds, and everybody’s special animal friend, the adorable and cuddly Christian Libonati as Snoopy, who knows how to dance for his supper. Melody Meitrott Libonati directs this warm and fuzzy delight. For tickets ($25 and up), call STONC at 203-966-4634 or online at www.stonc.org. Waveny Park is off exit 37, Merritt Parkway. Free parking is just past the park on Farm Road. Performances are Thursday and Friday at 7:30 p.m. and Saturday and Sunday at 2 p.m.
Next up is “Carousel” July 16-August 6, as well as “A Year with Frog and Toad” weekends to July 17 and “Lilly’s Purple Plastic Purse” weekends from July 23-August 6, for young audiences, Saturday at 10 a.m. and Sunday at noon. Let the Peanuts gang take you on a tour of their childhood and you might be surprised and happy to recognize some of it as your own. Theodor Geisel is best known for his unique cadre of personal friends like Yertle the Turtle, Sneetches, Grinches, Gowdy the Dowdy Grackle, Tingo the Noodle Topped Stroodle and many, many more. He immortalized them in his four dozen children’s stories and they have been made the subject of Disney theme parks, cartoons, snap-apart animal sets, movies and even a Broadway musical. You might recognize Geisel by his well known pen name: Dr. Seuss. 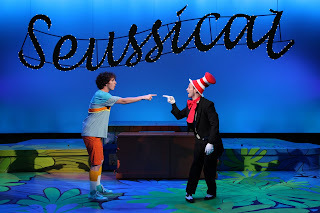 The Connecticut Repertory Theatre, on the campus of the University of Connecticut, invites you to expand your imagination in wondrous and amazing ways to celebrate creativity and kindness in “Seussical the Musical” at the Nafe Katter Theatre until Sunday, June 26. With a mischievous Cat in the Hat (Bradford Scobie) as your guide, let Horton the Elephant (Steve Hayes) go to extensive lengths to protect and save a tiny, impossible-to-see community, the Whos, from being extinguished. Taken from “Horton Hears a Who,” this rousing musical allows Horton to be a hero, even a reluctant one, as he safeguards his miniscule new friend Jo Jo (Noah Zachary) and all the little Whos (Cody Strand, Lindsay Andretta). As if that wasn’t taxing enough, Horton is persuaded by a conniving Mayzie LaBird (Rachel Rosado) to sit on her egg while she goes off to play land. While Horton is doing all this manly and motherly thing, he fails to see the love that is shining for him out of the adorable eyes of Gertrude McFuzz (Allyssa Schmitt), one of the cutest featured creatures on the planet. As the lumbering Horton asserts, “a person’s a person no matter how small,” he knows he is the sole protector of the whole Who world. Now he also is the mother hen guarding an egg-filled nest. What is an elephant supposed to do first? Like a good mother, he learns to multi-task magnificently. Also helping and hindering Horton along his way are the Sour Kangaroo (Amani Dorn) and the Wickershams (Jamie Goldman and Charles South). Cassie Abate directs and choreographs this charming children’s tale that even curmudgeons will embrace, on a Technicolor set by Michael Anania, clever puppetry by Paul Spirito and with a kaleidoscope of costumes and cute haberdashery by Leslie Neilson-Bowman. Lynn Ahrens and Stephen Flaherty created this imaginative tale. For tickets ($10-39, children $10), call the CT Rep Theatre box office at 860-486-4226 or online at www.crt.uconn.edu. Performances are Tuesday, Wednesday and Thursday at 7:30 p.m., Friday and Saturday at 8 p.m., with matinees Saturday and Sunday at 2 p.m. “My Fair Lady” comes next, July 7-17, at the Harriet S. Jorgensen Theatre. The series is sponsored generously by Hamilton Sundstrand and SI Financial Advisors. Come join Gertrude’s fan club and cheer on Horton as he tries to save the world, well at least a world of tiny creatures and one large egg. It’s not your grandma’s Mother Goose! Win a pair of tickets to the Saturday, June 25, 8 p.m. performance of the world premiere musical "MAD BOMBER" at Waterbury's Seven Angels Theatre. Enter the mind of Waterbury native George Metesky who terrorized New York City in the 1940's and 1950's by planting 33 bombs in his mission to find justice against his former employer Con Edison. To win one of 10 pair, log on to the New Haven Register or Middletown Press, Community Media Lab, for Bonnie Goldberg's blog The Balcony and Beyond. Leave a comment with your name and e-mail address. Winners will be randomly selected and will be notified by e-mail on Thursday, June 23. Good luck! Discover a little known fact about Connecticut’s colorful history! For the full story, read below. An innocuous red woolen sock stuffed with a brass pipe, gunpowder, sugar and a flashlight battery are the ingredients for a tale that terrorized New York City in the 1940’s and 1950’s. Put them all together and they are the ignition for “Mad Bomber,” the subject of a world premiere musical at Waterbury’s Seven Angels Theatre until Sunday, June 26. If you had a legitimate grievance against a company, your employer, and after hundreds of letters and phone calls, you still could get no justice, would you resort, in desperation, to a louder noise to get attention? Journalist Charles Monagan and composer Richard DeRosa have finally given George Metesky a voice, a musical voice at that, to explain his frustration when he could not get the Con Edison Company to acknowledge its responsibility in his claim for disability. John T. Swanson plays George, an impassioned man seeking justice, not only for himself but for all workers injured by the system. In 1931, while at work, George Metesky was gassed in an explosion, leading him to suffer pneumonia and tuberculosis. His demands for compensation for his injuries, which caused permanent disability (where is the Aflac duck when you need him? ), went unanswered. To call attention to his cause, which was now a mission and obsession, he began building bombs and leaving them at Con Edison buildings. When these were ignored, he escalated his exposure by placing them in more visible locations: Macy’s, Radio City Music Hall, Penn Station, the New York Library and assorted movie theaters. Suddenly George Metesky had the attention of a terrified city and became the focus of a massive police manhunt. While his sisters Anna (Jeannine Gallmeyer) and Mae (Joyce Jeffrey) knew nothing about George’s activities, the mayor of New York City (Tom Chute), the Commissioner of Police (Todd A. Little) and a doctor who profiled criminals (Walter Cramer) were doggedly following clues. 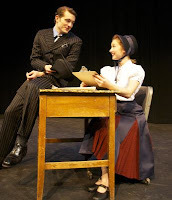 Seven city newspapers kept the story sizzling, especially a dedicated Sally Jo Dorman, played by a lovely Cassie Okenka, from the Journal American and her rival and ultimate love interest Billy Breen, played by a gallant Bobby Gouse. Semina De Laurentis directs this rousing true story of a Waterbury man. Elizabeth Metesky Barry reflected recently on her great-uncle George. She was born just as he was arrested. His release from a mental institution occurred sixteen years later when they both got their driver’s licenses issued in the same week. Elizabeth never learned George’s story from her family until many years later. When it happened, the family was ostracized by the neighbors, pointed at, whispered about and threatened by “crazy” phone calls. She recalls it was all “hush-hush.” While in elementary school, her mother fought to be sure a book about George was banned from the school library, to protect Liz and her brother from taunts and teasing. Ironically Liz’s brother is in possession of all George’s meticulously kept diaries and home videos and he would like a book written about great-uncle George now. Whereas their parents were shamed by the incident, the next generation only knew him as a “generous gentleman, perfectly normal, dapper in a suit and tie, very intelligent and mellow” who celebrated family weddings and holidays with them over the years. He died at age 91 in Torrington. Interestingly, George Metesky was an inventor and prior to his arrest he was set to patent a fuel-injected motor that he built in the garage at his home on 4th Street in Waterbury. Liz remembers when she was 6 to 9 years old traveling to New York with her father, brother and aunts. They would stop at a building and the aunts would go inside while her father took the children off on an adventure, followed by dinner in Litchfield on the way home. Liz didn’t know until her late 20’s that the aunts were visiting George at a mental hospital. Recently her brother, who is a steel worker, was learning how to make fireworks with a professional instructor and needed to have a pipe welded. The man who did it mentioned the story of the Mad Bomber as he was soldering the pipe. While Liz’s parents were shamed by the story, Liz and her brother have “embraced” it. Still Waterbury is a small closely- knit community and when George died, the family had a private ceremony and nothing was put in the newspapers. Still George’s legacy lives on. When a cousin tried to join the police force, George was used as an example of how profiling works and the police referred to the Mad Bomber in their attempts to catch the Unabomber. Now there is a world premiere musical at Seven Angels Theatre that is focusing a spotlight on George Metesky to showcase his story. For tickets ($29-$50, $10 for students 21 and under with ID), call Seven Angels Theatre, Plank Road, Hamilton Park Pavilion, Waterbury at 203-757-4676 or online at www.sevenangelstheatre.org (just off I-84). Performances are Thursday at 2:30 p.m. and 8 p.m., Friday at 8 p.m., Saturday at 2 p.m. and 8 p.m. and Sunday at 2 p.m.
Let Charles Monagan and Richard DeRosa lead you on a frenzied chase to capture the “Mad Bomber” from the crowded streets of Manhattan to a quiet corner of Waterbury, Connecticut. Leave a comment, your name and e-mail address and enter to win a pair of tickets to the Saturday, June 25, 8 p.m. performance. Winners will be randomly selected and notified by Thursday, June 23. You may not be able to travel around the world for your summer entertainment, but what if the world came to you. New Haven’s exciting International Festival of Arts and Ideas is slated to arrive at your doorstep from Saturday, June 11 until Saturday, June 25. Hop on the adventure train for dance, music, theater, bike and canoe tours, children’s film festivals, creativity workshops, experiences with food, farm tours, city tours, a State Street stroll, lectures on everything from pleasure to politics and much, much more. For example, imagine yourself on a blanket on the New Haven Green, as stars sprinkle the night sky, rhapsodizing to world famous cellist Yo-Yo Ma and his legendary Silk Road Ensemble on the festival’s opening day, at 7 p.m. and it’s free listening pleasure. Believe it! Perhaps you’d like to visit Ireland for a taste of the blarney courtesy of playwright Martin McDonagh and the Druid and Atlantic Theater Company in “The Cripple of Inishmaan” Wednesday, June 15 – Friday, June 17 at 8 p.m., Saturday, June 18 at 3 p.m. and 8 p.m. and Sunday, June 19 at 3 p.m. at the Yale Rep’s University Theatre, 222 York Street, New Haven ($40). When a Hollywood film director comes to a remote island off the Irish coast, Cripple Bill puts all his efforts into becoming a coveted chosen local for the movie with comic results. The spirit of Spain is alive and well with !Con Fuego! On Wednesday, June 22 at noon and 3 p.m. on the New Haven Green with guitar music firing up flamenco dancers in this free one hour Spanish musical hour. If down home hillbilly tunes are more your ticket, plan to mosey over to the New Haven Green for a free double header on Sunday, June 19 at 6 p.m. with The Deedle Deedle Dees and at 7 p.m. with The Ebony Hillbillies. Pick a theme and aim your compass to any fascinating corner of the globe that lights your passions. 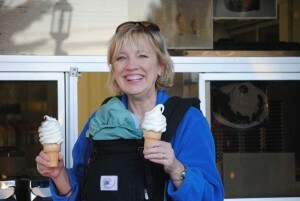 Visit www.artidea.org to view all your varied selections and plan your cultural vacation. Buy your tickets online, view preview videos online or call the Shubert Theatre box office at 203-562-5666 or 888-736-2663. For more information, call 888-ART-IDEA. Immerse yourself and your family in New Haven’s guidebook to a cultural journey of the world that requires no passports or immunizations, just enthusiasm and a spirit of adventure. How traumatic must it be for a five-year-old lad Arnold to have his mother abandon him and run off with her lover? How uncomfortable might it be for that mother to return three decades later, invited by Arnold’s wife, for a long overdue reunion? How fraught with complications might it be if Arnold’s father should unexpectedly return to the family home minutes before his ex-wife makes her dramatic entrance? Hold on to your Hepplewhite chair because there are many more surprises as W.Somerset Maugham reveals his witty comedy of society “The Circle” being delightfully charming at Westport Country Playhouse until Saturday, June 25. Paxton Whitehead is the droll and distinguished Lord Clive Champion-Cheney who watched his wife Kitty dash off to Italy with his best friend Lord Porteous. He may have recovered his equilibrium but his son Arnold is still feeling the stings of abandonment. His effusive and gracious wife Elizabeth (Gretchen Hall) wants the family reunited, but Arnold is fixated on things like furniture and decorating rather than on people and feelings. Marsha Mason’s Kitty floats into the elegant drawing room, designed in perfect taste by Alexander Dodge, in her full plumage. Her trusty lipstick is all the protection she needs to face what might be her most critical audience. While her husband Huey, a wonderfully cranky John Horton, follows in her wake as if she is the mighty ocean liner Queen Elizabeth I, Kitty takes command of the scene, like a captain to his crew. With charm, Elizabeth welcomes her company while Arnold is a supreme fuss-pot, in the capable hands of Marc Vietor. Yet Maugham has an important history lesson to teach. The appearance of Bryce Pinkham’s Teddy, a determined and serious minded guest, will provide the catalyst for the ultimate entertainment. Nicholas Martin directs this scintillating scandal of a comedy with aplomb. For tickets ($35-60), call Westport Country Playhouse, 25 Powers Court, route 1, Westport at 203-227-4177 or 888-927-7529 or online at www.westportplayhouse.org. Performances are Tuesday-Saturday at 8 p.m., with matinees Sunday at 3 p.m. and 2 p.m. Wednesdays, June 15 and 22. Stop for a spot of tea and scones at Aston-Adey, the Champion-Cheney country home in England, and get a peek behind the bedroom doors. If there is a school for comedy, then Chicago’s The Second City is the Phi Beta Kappa university and has earned its title over more than five decades. With illustrious alumni like Alan Arkin, John Belushi, Gilda Radner and Dan Aykroyd and members from the Canada campus like Martin Short, John Candy and Rick Moranis, the Second City has forged its boasting rights. 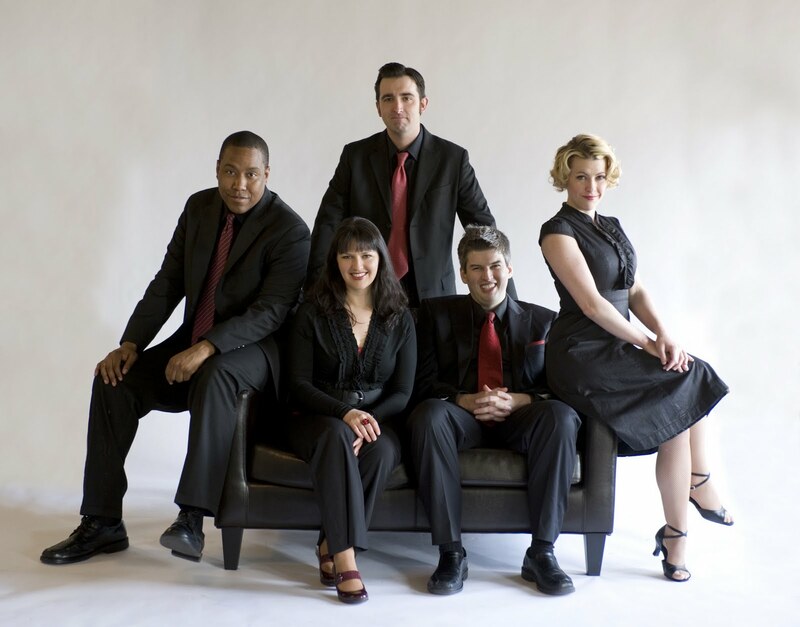 This quirky and experimental comedy mill keeps churning out new members and you are invited to mix and mingle with the latest troupe when The Second City invades Long Wharf Theatre from Wednesday, June 15, to Sunday, June 19. With nothing sacred and political humor their forte, you can expect timely, topical and creative takes on the latest headlines delivered with spark and sparkle, with the added spice of being improvisational and off the comedy cuff. This year’s kings and queens of comedy include Warren Phynix Johnson, Kevin Sciretta, Derek Shipman, Cecily Strong and Natalie Sullivan. These sketch artists have no limitations on their material and pride themselves on innovation and creativity. 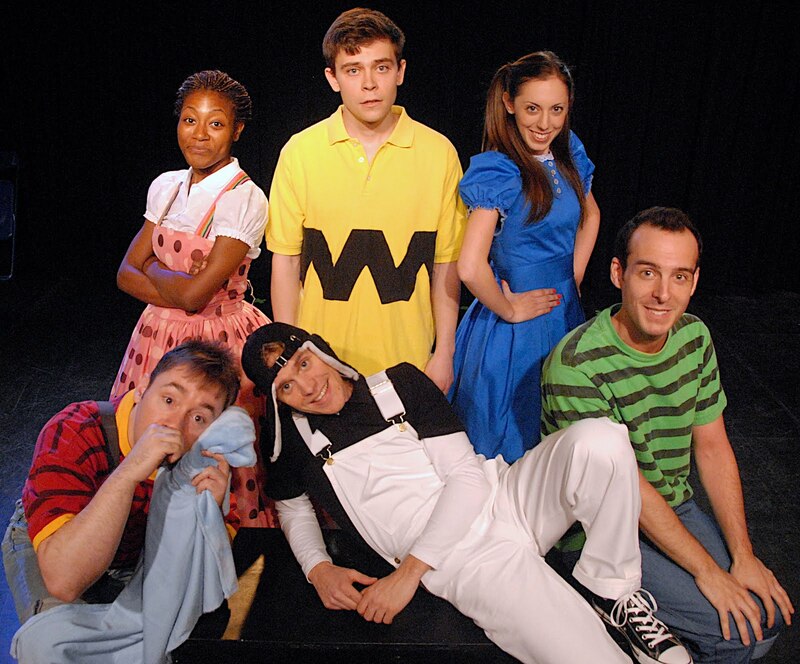 The Second City studios in Chicago, Los Angeles and Toronto offer summer camp for kids 11-18 as well as classes for adults of all experience levels. For tickets ($40), call Long Wharf Theatre, 222 Sargent Drive, New Haven at 203-787-4282 or online at www.longwharf.org. Performances are Wednesday to Saturday at 8 p.m., with matinees Saturday and Sunday at 4 p.m.
Let the newest crop of comics from that funny farm known as The Second City tickle your fancy and funny bones. Laugh on! The dice are loaded and the odds are 8 to 5 that the current production of Damon Runyon’s colorful musical tale “Guys and Dolls” is a sure bet. The Connecticut Repertory Theatre on the campus of the University of Connecticut in Storrs at the Harriet S. Jorgensen Theatre is doing a super-duper, bang up job until Sunday, June 12 and you’re guaranteed to have a bushel and a peck of pure pleasure. Sarah Shenkkan’s Sarah Brown, the young woman who runs the Save A Soul Mission in the Bowery of New York is no match for the persuasive powers of Ken Clark’s Sky Masterson. She is dedicated to her cause to rescue sinners and she has the Lord on her side but Sky’s devilishly charming ways sweep her off her sturdy and sensible oxford clad feet. Of course, when Sarah learns Sky’s announcement that he is a repentant sinner, a reformed gambler, is all a ruse, a devious plot to win a wager against Nathan Detroit (Greg Webster), all bets are off. Nathan just wants to win $1000 from Sky to fund his perpetually floating crap game and fool the local constabulary, a dogged Lt. Brannigan (John Bixler) who wants to shut Nathan’s game down permanently. Also ruling against Nathan is his fiancée of fourteen years, an adorable Miss Adelaide, portrayed by Caitlin O’Brient, who suffers a cold as she deals with her ongoing disappointment that her nuptials are not legalized, consummated and made legitimate. Songs such as “I’ll Know,” “If I Were a Bell,” “I’ve Never Been in Love Before,” “Take Back Your Mink,” “More I Cannot Wish You,” (sung sweetly by Sarah’s grandfather, played by David Alan Stern) and “Marry the Man Today” carry the action from the Broadway streets to the bowels of the sewers as Lady Luck lurks in all the dark corners. Tunes such as “Adelaide’s Lament,” “Sue Me” and Nicely-Nicely’s (Clyde Voce) “Sit Down You’re Rocking the Boat” are worth the price of admission all by themselves. With lively direction by Vincent J. Cardinal, this Frank Loesser, Jo Swerling and Abe Burrows classic is a sure fire hit. Add to that the energetic choreography by Cassie Abate, the amazing set design by Michael Anania, the colorful costuming by Michiko Kitayama-Skinner, the effective lighting by Al Crawford and the dynamic sound by Nathan Leigh, plus a powerful and talented ensemble cast and you couldn’t ask for a better two and a half hours of exciting entertainment. For tickets ($10-39), call the CT Rep at 860-486-4226 or online at www. crt.uconn.edu. Performances are Tuesday, Wednesday and Thursday at 7:30 p.m. and Friday and Saturday at 8 p.m., with matinees Saturday and Sunday at 2 p.m. Consider a subscription that includes the additional shows “Seussical the Musical” June 16-26 at the Nafe Katter Theatre and “My Fair Lady” July 7-17 at the Jorgensen. Kids tickets are $10. Don’t resist the temptation and surrender to this high powered perfection. It’s a clear winner! At the tender age of 6, Sandi Kahn Shelton realized that she could earn 25 cents by selling a handwritten story to a neighbor and buy banana popsicles for two days in a row Unfortunately her mother vetoed this lucrative career and it was decades later before she sold her second installment of original literary prowess. Fortunately for her reading public, she is now a prolific author, producing novels and child raising humor books as well as writing columns for 27 years at the New Haven Register. Her first published work was only 17 years in the creation and because her agent had negotiated her a two book deal she had a deadline of only eleven months to produce book number two. To date she has penned "A Piece of Normal," "What Comes After Crazy," "You Might As Well Laugh," "Sleeping Through the Night and Other Lies," "Preschool Confidential" and "Kissing Games of the World" as well as a novel under a pen name. To learn more about this charming and gifted author, visit her at sandi@sandishelton,.com. Her advice to writers is "speak in your own voice." Sign up for one of her writing workshops for encouragement and inspiration. Sandi recently gave her pearls of advice at a workshop at the New Haven Library.